Crafts : Learn how to make a sofa for the garden, with recycled material! Learn how to make a sofa for the garden, with recycled material! That's very useful! They can even be used as storage! 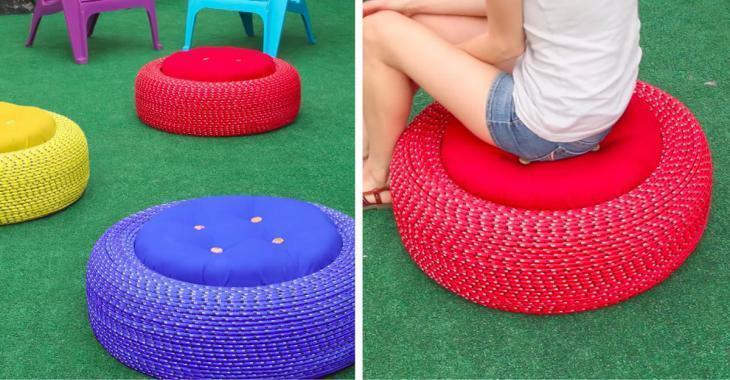 Take old tires to make sofas for the garden! They got the perfect size and you can choose the color you want! They can also be used as storage! It's a great idea! Check out the short video to see how easy it is to make storage benches and how beautiful they are with colors!